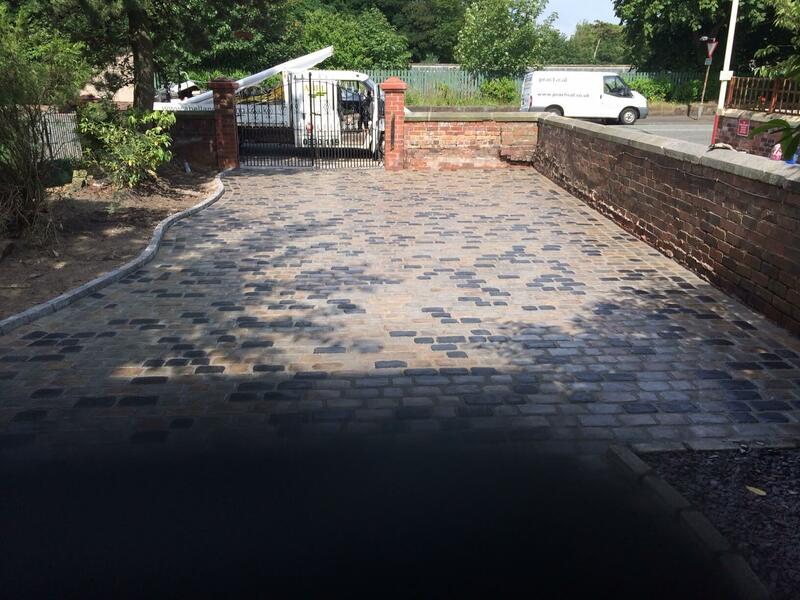 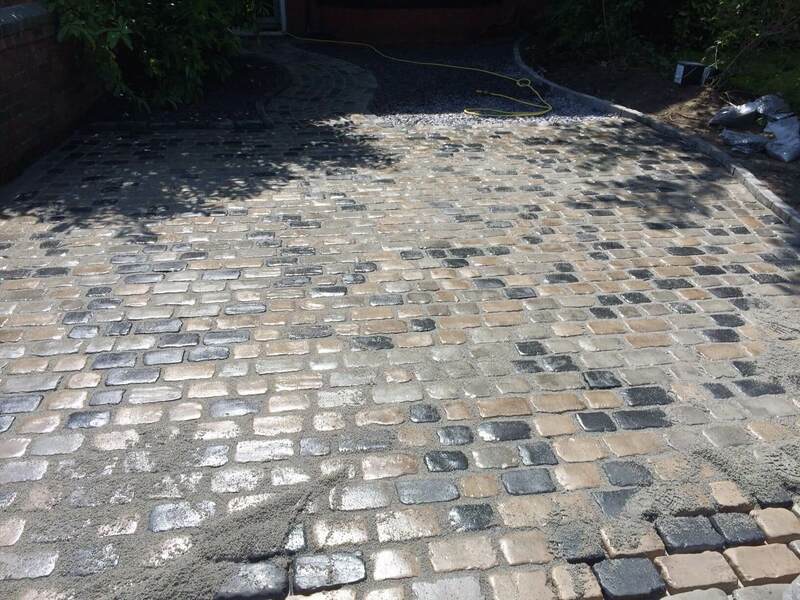 Here we were transforming 99m2 of the driveway by installing Marshalls Drivesys Original Cobble Driveway System blending all three colour Canvas, Iron Grey and Basalt. 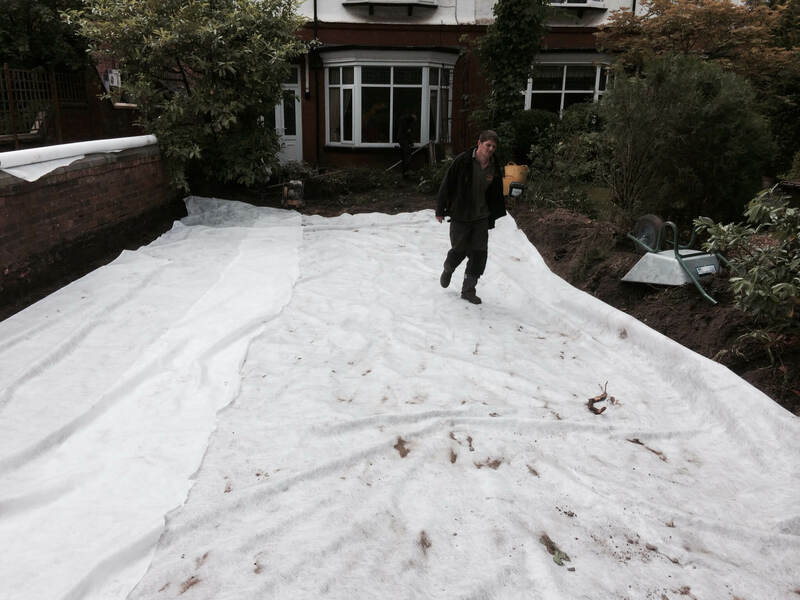 We first excavated the ground to the required depth and install a geo-textile membrane to prevent aggregate migration. 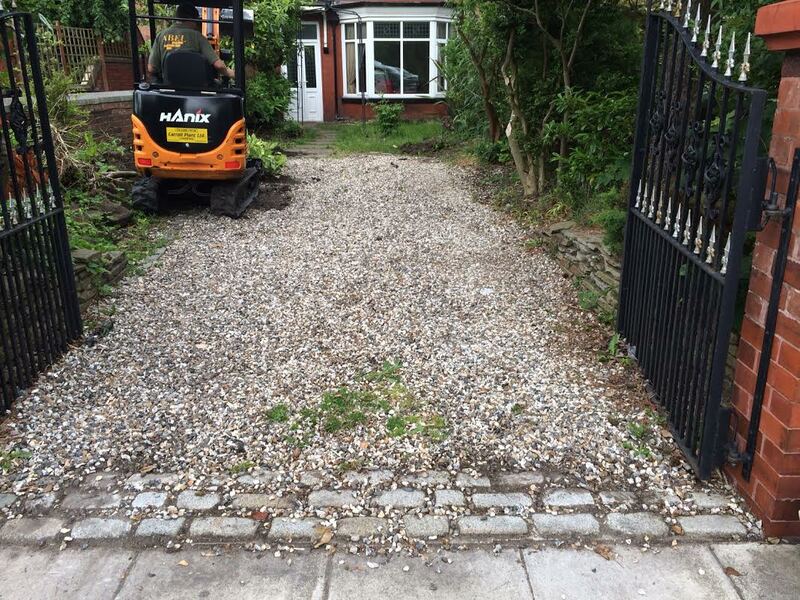 We then installed sufficient foundations using MOT type 1 which was compacted. 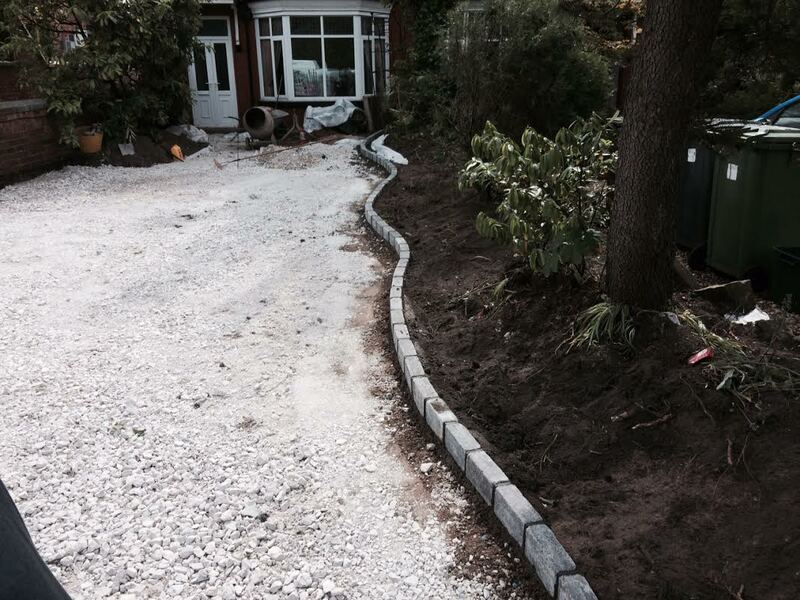 After we installed Drivesett Kerbs to create a raised edge along the right side as facing the house and along the shape in the corner on the left as you go through the gate. 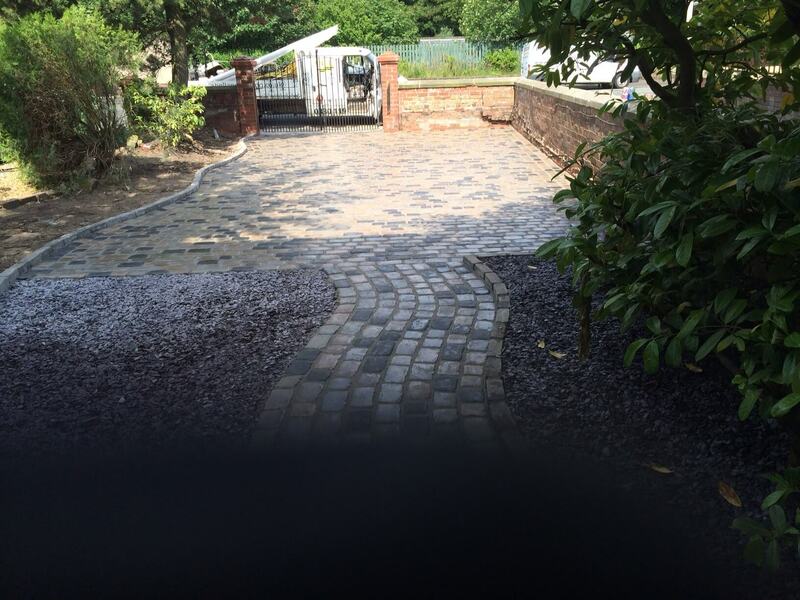 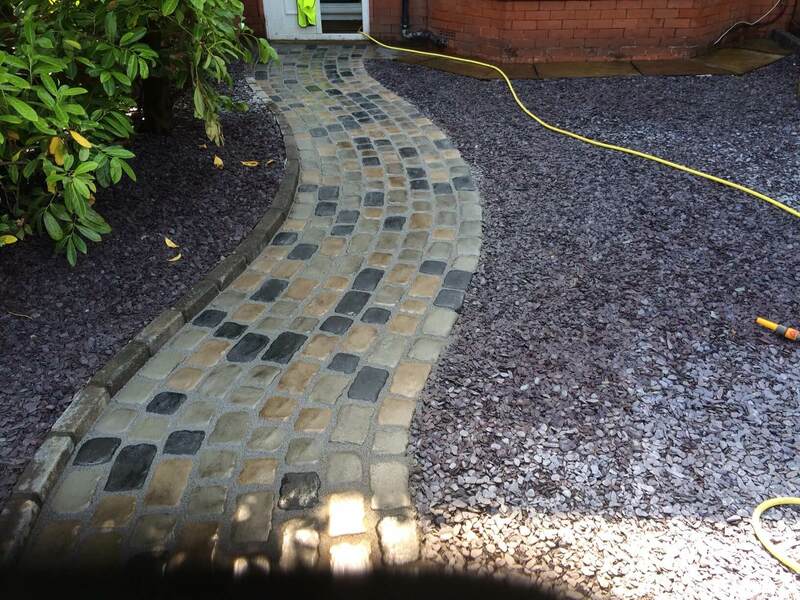 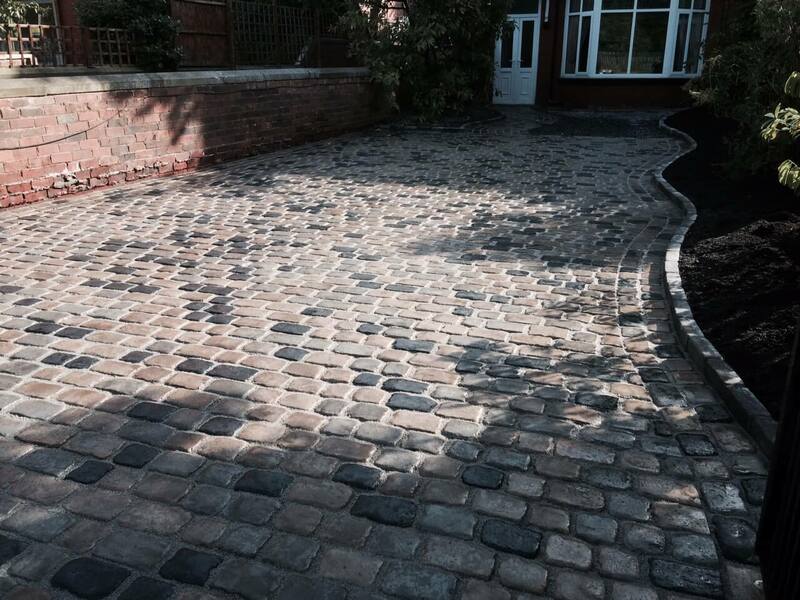 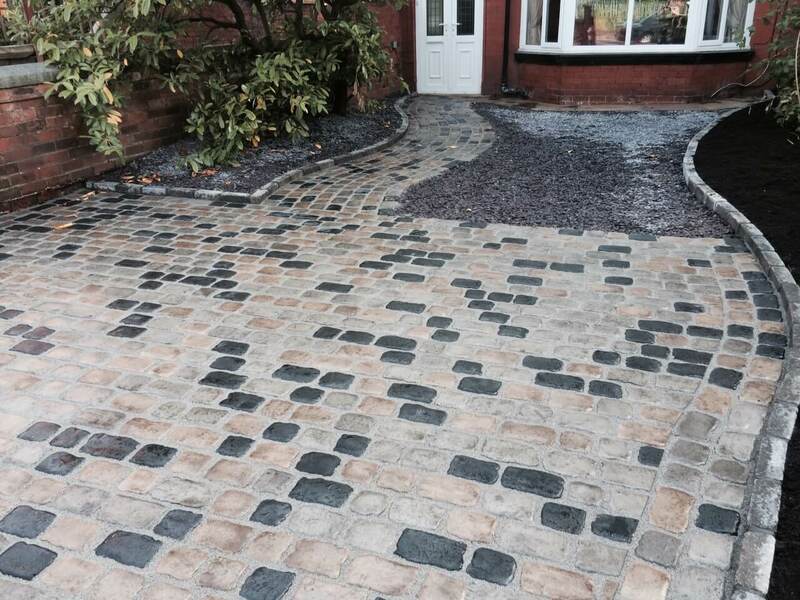 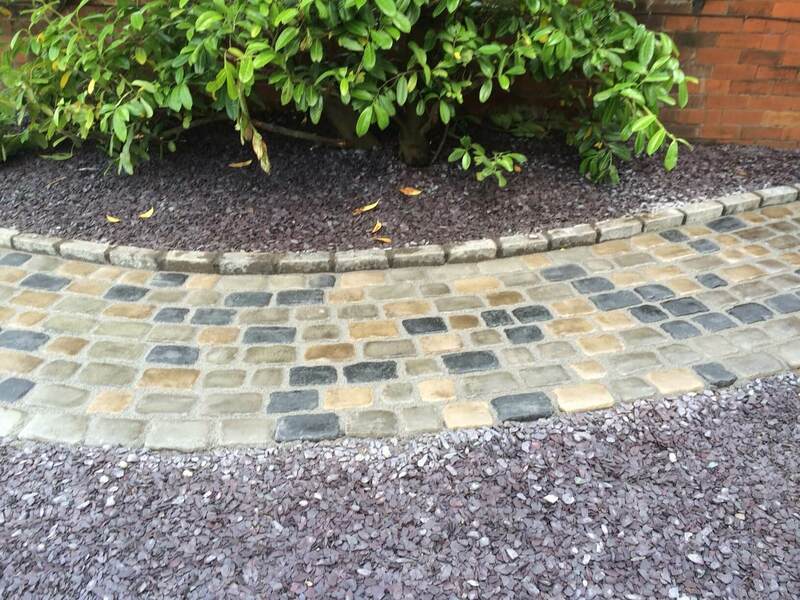 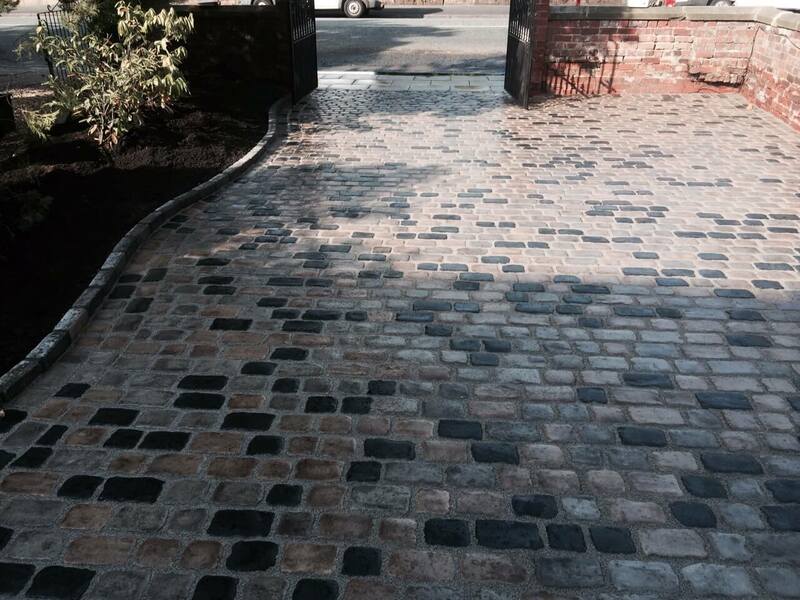 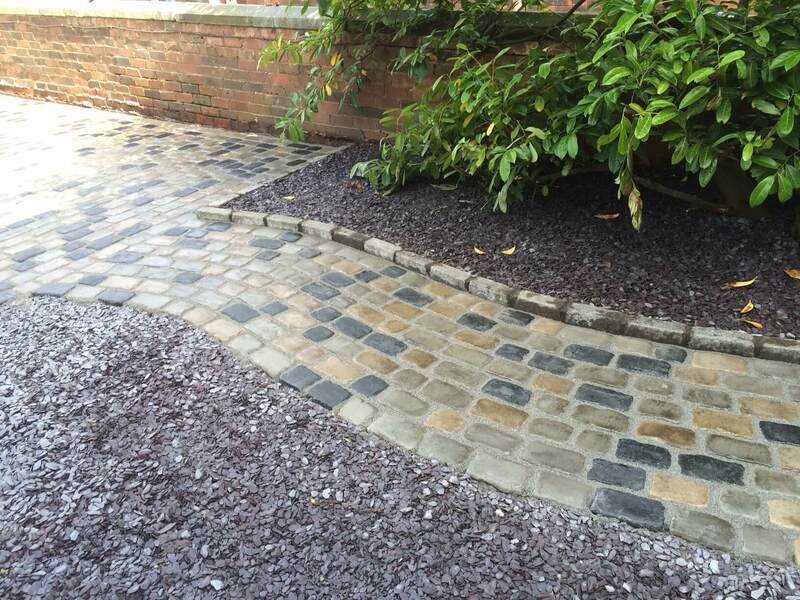 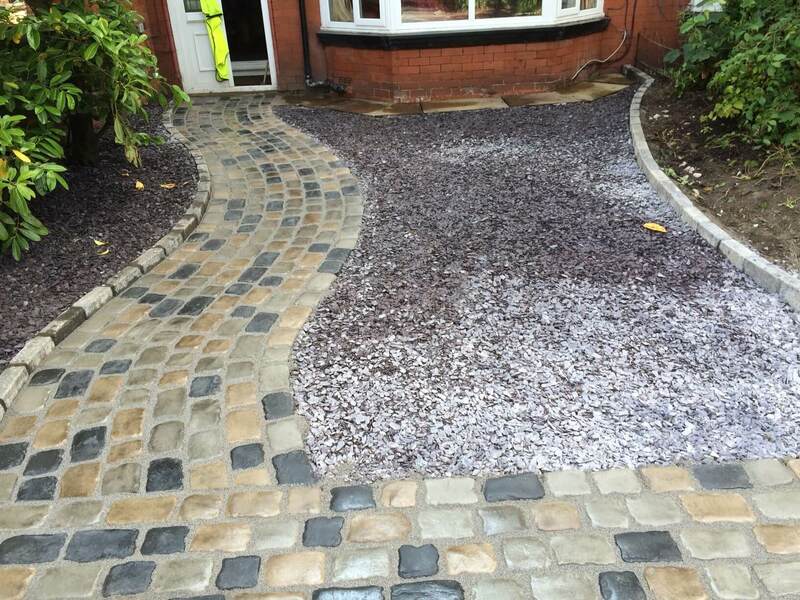 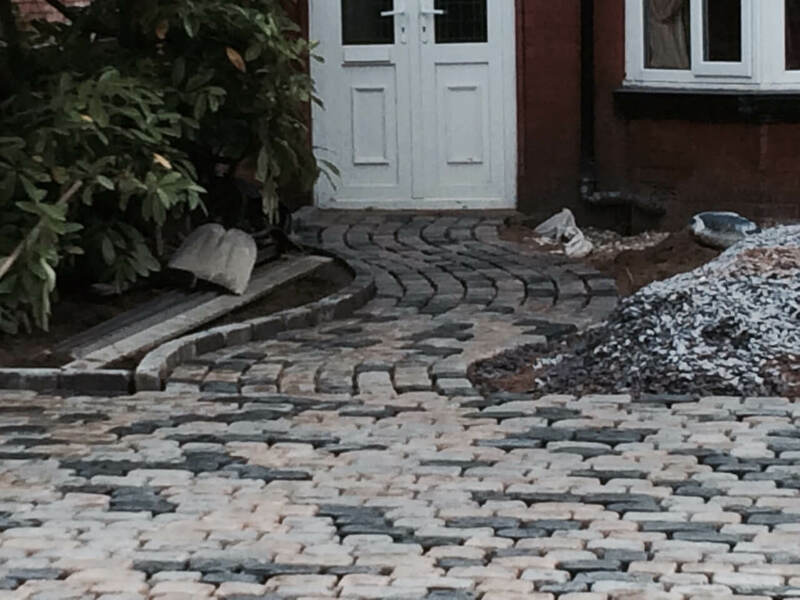 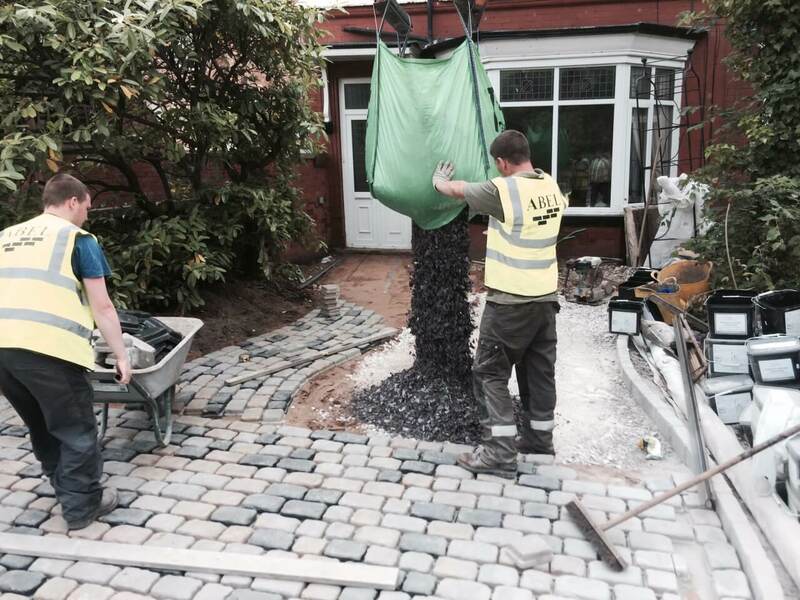 We then installed Marshalls Drivesys Original Cobble block paving to the front driveway and import decorative aggregate.